I would like to thank my Dentist for giving me the courage and motivation to follow through an implant procedure which was, in my mind, quite an impossible task. I've lost a tooth! Now what? The loss of a tooth or multiple teeth can not only be distressing, it can have long term effects on the health of your mouth. If a front tooth has been lost or needs removal, then for most people its replacement will be a priority. If you have an accident, we may be able to provide a temporary restoration. 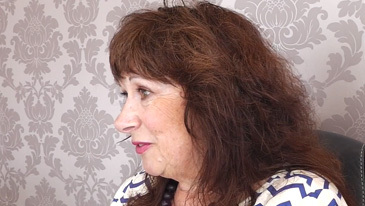 A permanent, visible gap when you flash a smile or are talking is far from ideal, this is why patients would choose a Dental implant in Milton Keynes. 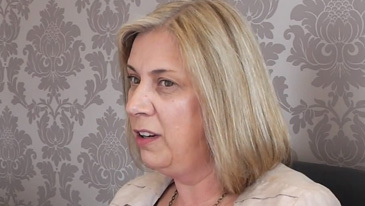 Watch our implant patient testimonials, hear about the dental treatments offered to them when they wanted Dental Implant treatment in Milton Keynes. Read further how implants work and why Northlight Dental's patients they chose to have dental implant treatments over bridges or dentures. A missing back tooth can cause other problems. It would be wise to discuss this with our Implant Dentists. These problems include the reduction in the ability to chew efficiently on that side of your mouth. 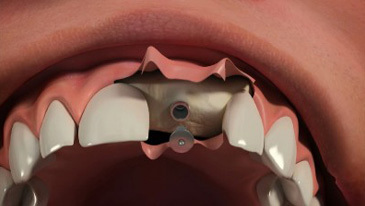 There is also a risk of the adjacent teeth drifting and moving into the missing tooth's space. This can have damaging effects on the stability of your bite and your other existing teeth in the long term. Nowadays dental clinics are fortunate in that we can offer our patients a number of options when it comes to replacing missing teeth. Dentures are relatively inexpensive however need to be removed for cleaning and when you sleep. Some patients struggle with this and also find that dentures are not comfortable to wear. They may also impede speech and reduce the enjoyment of eating. Bridges offer the advantage of being 'fixed' in the mouth and can look very natural. However they often require the teeth adjacent to the gap to be reduced in size by drilling to allow the bridge to fit correctly. This destruction of often completely healthy teeth is best avoided if possible as it can have long term implications. High Quality Dental implants re the most modern method of replacing teeth, although they have been around for a number of decades now. They can provide a fixed replacement option that looks and feels great and is the next best thing to a natural tooth. Put simply, dental implants are tiny titanium screws (normally less than 1cm long) that are gently inserted into the jawbone to replace the root of a missing tooth. The amazing thing is that bone will grow directly onto the titanium surface and this super strong connection allows us to use implants predictably to support a replacement tooth crown, multiple crowns and even all your missing teeth. The procedure is usually less painful than having a tooth removed. 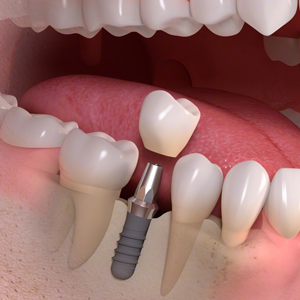 The implant is placed very carefully, and you only need a local anaesthetic to numb the surrounding area. If you are slightly more anxious then the treatment can be carried out using conscious sedation. This is an extremely safe way of making you feel very relaxed during the treatment and afterwards you remember little of the procedure. After the surgery. usually only simple painkillers are required for 1-2 days and most patients having a single implant placed are able to return to work the next day. If you are fit and healthy, don't smoke and correctly maintain your implant it could last a lifetime. The success rates for dental implants are exceptionally high (over 98% over the first 10 years) but we do recommend that you see us and your hygienist regularly to make sure it is being looked after the right way. The prosthesis (the 'tooth bit' of the implant) may eventually wear and need replacement but this is usually after a number of years and is much cheaper than the initial implant treatment. Phase 1: This is where we get to know you and your specific needs. We carefully analyse your specific clinical circumstances and work out the best way to proceed. Usually x-rays, models and photographs and taken to help us provide an accurate diagnosis and tailored treatment plan. Phase 2: This is the 'surgical phase' and involves the placement of the implant, the removal of stitches a few days later. The implant is then allowed to heal and the surrounding bone fuses to it, a process that normally takes 3 months. We sometimes 'bury' the implant under the gum to protect it during the healing phase. If this is case a second very minor surgical procedure is required to allow us to access the implant. Phase 3: This part of the treatment is a bit like having a conventional crown made. We take impressions of your mouth that are sent to a laboratory for the construction of your tooth or teeth. Phase 4: This is where we review your new tooth or teeth and make sure everything is going well. 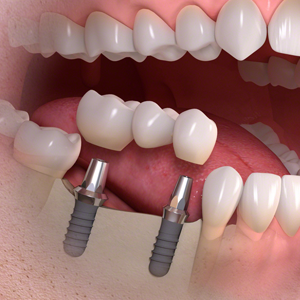 If you have a tooth that needs to be removed, an implant can be placed straight after the tooth is extracted. And, if you are worried that you will be left with a space, often we are able to fit a temporary crown onto the implant on the same day. This means you will walk out the practice with a new tooth in position. You will of course be provided with much more information regarding your options at your consultation visit. This All Sounds Expensive, is it worth it? 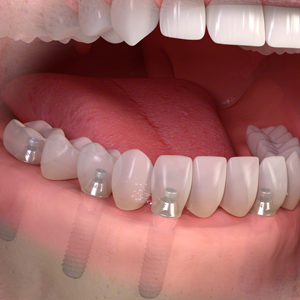 The initial cost of an implant is more than for example a denture or a bridge. However, it is important to remember that what you are getting is a replacement which looks and feels like a natural tooth. There is no damage to the adjacent teeth and after a few days following the completion of treatment most patients actually forget which tooth the implant is! Also, as implants usually last longer than the other replacement options available, in the longer term your overall investment will go much further. We also offer a range of financing options (many with 0% interest) to help you get the treatment you want. It is also important to remember than the placement of implants is not 'everyday' dentistry and our team have received additional training to allow us to provide this amazing treatment option to our patients. We take pride in providing the best treatment possible to our patients. We only use superior quality implants with excellent long-term success rates and backed by extensive research. If you have any further questions, please give our team at the practice a call and we will be more than happy to answer them for you. 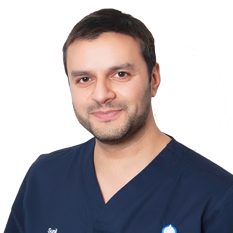 Alternatively, why not book a free consultation with our treatment coordinators or a low-cost initial consultation with Dr Passan to discuss your options further. Watch the patient story videos below to learn about our patient's experiences. Want to find out more about this excellent treatment option? 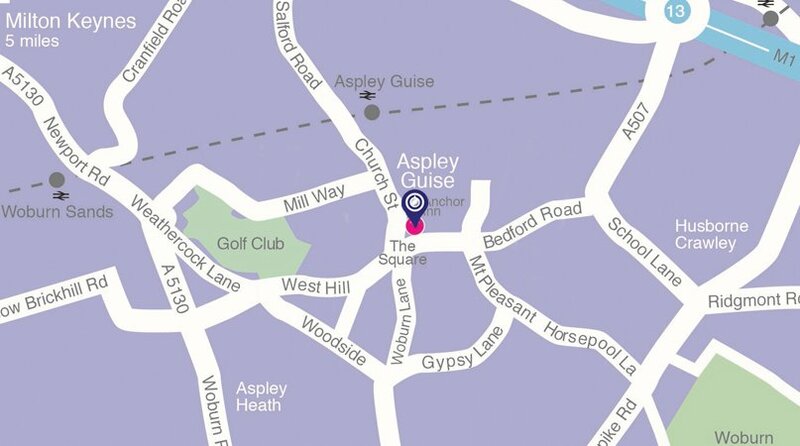 Call us today on 01908 584461 to book a free consultation with our dedicated treatment coordinator.